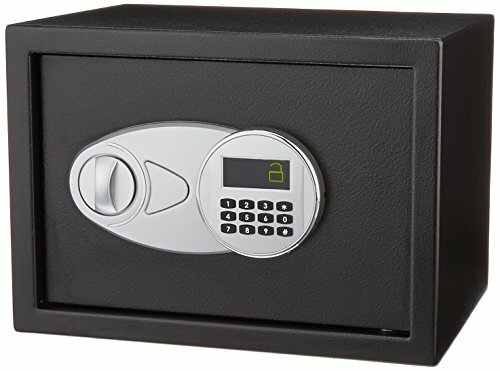 A digital safe is exactly what it sounds like: a safe which is secured with an electronic digital lock. You can contrast this with a safe which uses a mechanical dial lock or a biometic safe which accepts fingerprint scans. To open a digital safe, you simply punch a combination into a numerical keypad. Some safes come with pre-set combinations, while others allow you to choose your own entry codes. In this guide, you can discover important questions to ask while shopping for digital safes, and you can learn more about features and considerations for these types of safes. Looking for top products? Take a look at the comparison table below. 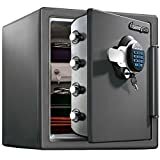 You can click the links in the table above to be taken to product pages for recommended digital safes, or you can keep reading to expand your knowledge of digital safes before shopping. 1. Will a digital lock fit your needs? 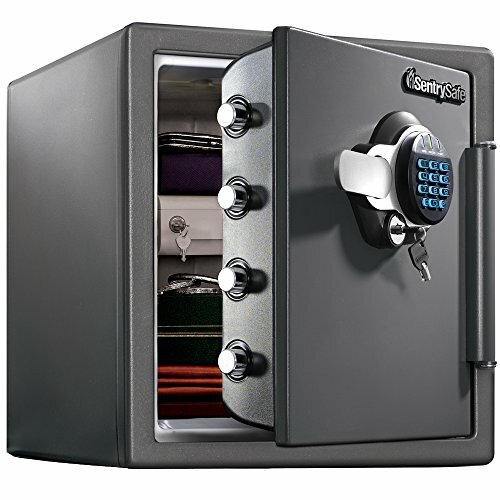 As mentioned previously, safes which lock digitally are not your only option. You could also consider mechanical or biometric locks. Let’s talk a little bit more about how digital safes lock and unlock so that you can make the right decision. There are good things about digital locks and bad things. Many users find them much easier to use than traditional mechanical dials that you have to turn. If you really struggle with those dials, you may find it much easier to get inside your safe quickly in an emergency if you secure it with a digital lock. You also can usually change the combination yourself. There are disadvantages too, though. What if you put in the wrong combination on mistake when you are programming the lock? You may have no way at all to guess the right combination, and then you will have to call in a professional to get you back into your safe. Another potential issue is the fact that your safe will need a power source. Most digital safes require a battery. If the battery dies, you may not be able to get into your safe. If you purchase a safe which includes a reliable battery gauge however, you should have enough warning that you can replace it in time. Digital locks: Easy to punch in your code, but reliant on battery power. Rotary combination locks: Traditional and familiar, but finicky and time-consuming. Biometric locks: Fast, easy access to your safe when you need it, but also battery-powered and more expensive on average. In a way, digital locks are a kind of happy medium between rotary combination and biometric locks. They cost less than biometric locks, but they are reasonably fast and easy to open. They certainly outdo rotary combination locks in that respect. 2. What dimensions do you need? Safes with digital locks come in all shapes and sizes. You can purchase small digital safes which fit in drawers or under the bed, or large ones in which you can store rifles and other large items. Consider both the inside and outside dimensions before you pick a safe. Do some measurements. Ensure that the safe is large enough to fit your items, but small enough to be placed where you need it in your home or workplace. Also check to see if shelves are included in the safe, and if so, whether it is possible to configure them as you need to. 3. Does the safe need to be fireproof or waterproof? Some digital safes include protection against the elements. Think both about where the safe will be located and how vulnerable its contents might be to fire or water damage. Decide whether to purchase a safe which is also rated to keep out water and prevent contents from catching fire or melting in high temperatures. 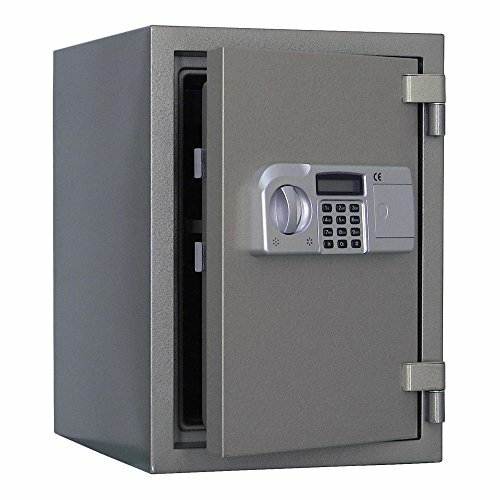 It is best to purchase a digital safe which is UL-rated. 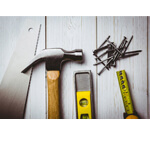 You will want to check for two types of rating: a rating for stability, and a rating for the locking mechanism itself. There are a range of different stability ratings, but one example would be a rating like TXTL-60. To earn this rating, a safe must survive an hour of attacks by two members of the UL team using a combination of tools and dynamite. The lock itself may also be UL-rated. Here too there are a range of ratings. The lowest is Group 2. If you purchase a safe with this lock rating, the lock can be penetrated within 20 minutes. A Group 1 lock is much better; it may be busted as well, but it should stand up to around 20 hours of attacks (except for X-rays). If you want to protect against X-ray attacks, get a Group 1R lock. Worried that an intruder will simply remove the keypad of the lock and hotwire it? This can be a problem with locks which are not UL-rated. With those which are, the lock electronics are not built into the keypad. With non-UL-rated locks, manufacturers may cut corners that make your electronic lock vulnerable to hotwiring. This is why a UL-rated lock is a must! Some people may find it easy to memorize any code they are given, but others may have a hard time remembering any code except for the one they set. Some locks have pre-set combinations which cannot be changed, while others allow you to reset the combination with one of your own. Choose according to your needs. Time delay: With this feature activated, there is a time delay set between entries. So imagine the delay is set to 99 minutes. That means the safe can only be opened once every 99 minutes. So imagine someone glanced over your shoulder while you opened the safe, and saw your pass code. They would not be able to use it to open the safe again until 99 minutes passed. Opening windows: This is an alternative to the time delay feature, where the safe can only be opened during certain times of day. All attempts even with the proper pass-code are ignored outside those windows. Wrong-try timeout: If you put in the wrong password, you are prevented from trying again for five minutes or some other pre-determined time (kind of like the time delay, but specifically for failed entry attempts). This is ideal for commercial environments. Two inputs are required from two separate people in order to gain access to the safe at any one time. This is a way of placing internal checks within an organization and monitoring access. Some safes can store histories of successful and attempted openings, as well as the codes used. You may be able to link up an electronic safe to a security system that sets off an alarm or calls the authorities automatically if the safe is being subjected to stress. 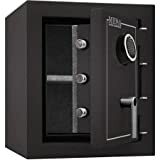 This digital safe has exterior dimensions of 13.8 by 9.8 by 9.8 inches and interior measurements of 13.5 x 8.75 x 9.5 inches for a total of 0.5 cubic inches. If you wish to mount it, you can do so using the four bolts which are included. While the lock may not be the most foolproof (details below), construction is otherwise excellent. The safe features a sturdy build. The AmazonBasics 25EI is made out of sturdy steel and features pry-resistant, concealed hinges along with live-door bolts. It can stand up to more than a few knocks and remain intact. There are convenient interior features. There is a shelf inside if you need it. If you do not, you can remove it. The floor of the safe is carpeted to protect fragile items. A pair of override keys is included. If you need to bypass the combination lock, you can get in with either of the keys. You can set your own code. You can program or reprogram the code to the safe as needed. Regular batteries are used to power the safe. All you need are AAs to keep your safe running. There is a gauge which informs you if the battery life is low so that it does not catch you by surprise. Some people have broken into this safe using nothing more than a regular pen. So while this safe acts as a deterrent, someone with some time on their hands (i.e. a child) may be able to get into it. If what you are after is a digital safe which is exceptionally heavy-duty, you will want to take a look at the Steelwater AMSWEL-500. This impressive safe has very few drawbacks, and offers you a surprising amount of structural integrity. This does put it in a slightly higher price bracket than some competing digital safes, but the value is worth it. The AMSWEL-500 is seriously sturdy. This compact safe weighs around 115 pounds. This is thanks to its heavy steel construction. With its stationary rectangular locking bolts on the side with the hinge as well as its active rectangular locking bolt, it is the tough digital safe you need to keep intruders out. You get fire protection with this safe. Rated to withstand temperatures as high as 1850°F (1010°C) for up to two hours, the AMSWEL-500 can protect your possessions during a blaze. You can store multiple codes. You can program up to four different codes for the safe. Each of these may have anywhere from 4-16 digits. You get to decide how easy or hard it will be to access your safe. The interior contains both a shelf and a drawer. Both can be removed if desired. While a lot safes include a removable shelf, not as many include a removable drawer, so this is a very nice feature for staying organized. The safe is pretty heavy. This isn’t really a drawback (actually, it is a plus from a security standpoint), but it does mean that you may have a hard time lifting it and relocating it if necessary. This is the 1.23 cubic foot version of the popular SFW123GDC safe, which also can be purchased in a couple of other sizes (ranging down to 0.82 cubic feet or up to 2.05 cubic feet). It is reasonably priced, and offers a variety of great features for the money. Protect your valuables against fire. This safe has earned a UL-rating for fireproofing. For as long as an hour, your possessions should be safe even if temperatures soar as high as 1700 degrees Fahrenheit. It can be used for documents, media and more. Keep possessions safe from water as well. Testing through ETL verifies that this safe can keep your valuables dry for as long as 24 hours in up to 8 inches of standing water. Multiple access options are included. You can set two different codes of 5 digits each to access the safe. You also can opt to use the included backup key instead. This safe takes regular AA batteries. According to SentrySafe, if you use their brand-name AA alkaline batteries, you can get the best results in terms of battery life. The construction could be a bit sturdier. 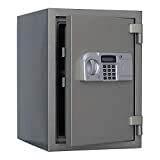 Even though the safe is made out of solid steel, it is not as thick as it is on some competing safes. As a result, some units may not perform as well as others (particularly if they were damaged during shipping).